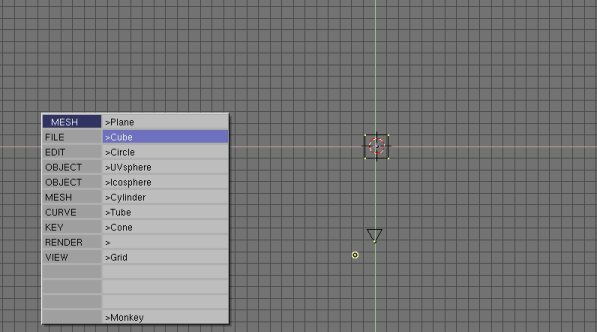 This is the first in a series of tutorials designed to introduce one to Blender. 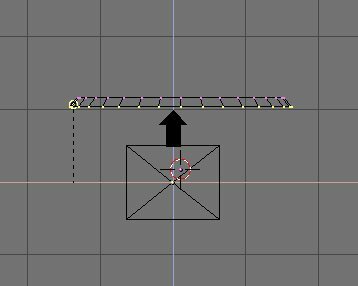 This particular one explains what's required to know before the reader can begin to play around with Blender productively. It was written Oct-18-2002. 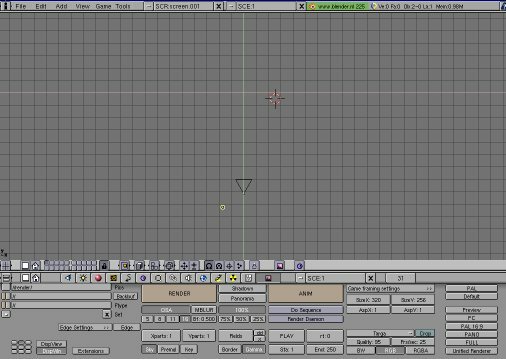 It uses Blender 2.25, with Windows 98, though the operating system should not matter too much. 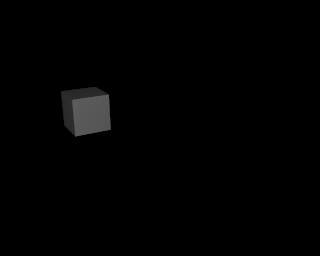 Welcome to the world of Blender! If you haven't downloaded a copy yet, get one from www.blender.org, it has been opensourced and people are playing around the sources, but for right now it's a good idea to grab Blender Publisher 2.25, not one of the user compiled ones. You should probobly register on the elYsiun.com forums, becuase this is a great place to ask questions and to show off your work. Just make sure to be polite, saying "pl3aZ HeLP me make somE COOL 3d!" will not get you very far, infact, it will make people listen to you less. Noone is forced to help you, so asking politely will get you quicker answers. "Please" and "thank you" often will impress people, whereas demanding will get you flamed. Also, don't expect to become a master overnight, working with Blender takes time and practice, be can be very rewarding. A lot of learning how to use Blender involves learning hotkeys. They make modeling much faster than any other interface, but there are a lot of them, just take it one bit at a time and you'll have them learned in no time! Now that you've downloaded Blender and registered on ElYsiun, we're ready to go! Also, remember the Golden Rule of Blender, "Keep one hand on the keyboard and one hand on the mouse." Look at all of those buttons! Relax, most of them are for specific purposes, and will not be required for a long time. Let's take a look around. 1. These are the directory settings. It would be a good idea to leave them, because we don't need them yet. 2. This is the OSA. Leave it on, at about 5 or 8, or if it's off, turn it on. This smooths out your pictures, so they have no jaggy edges. This feature is often missed by novices. 3. These are some animation related buttons, again, these are of no use right now, but they'll be pretty important later. 4. These buttons change how your image is saved. Quite useful, and will be explained later on. 5. All of these buttons except for the "Unified Renderer" change the size and aspect of the saved image or animation. The Unified Renderer is another renderer, one that will improve specific parts of the images, but it's slow and it has some problems with particular things. Overall you won't be using the "Unified Renderer" button very much. 1. In order from left to right we have the "Current Window Type" button that selects what the top half is. We won't be needing it yet. After that is the Fullscreen button, it maximizes the top half. Finally, we have the Home button, if, in the future, you ever scroll and zoom so much you can't see where you are, press it to go strait back to the camera! 2. These are the layers buttons, used mostly to seperate large scenes into managable chunks. It can also be used for other effects, involving shows and game engine things for the most part. Until your projects get too big, these won't be that important. 3. These settings are generally used in specific situations, excepting the first few. You'll never use those though because there are much more efficient hotkeys. 4. This button simply renders the current view. This is nice for showing off untextured models, among other things. 5. This simply starts GameBlender. Another rarely used button, because there is a much quiker hotkey, "G". 6. This displays what frame is being shown. This is useful in animating. 7. Last, and more important, the various tabs with all the buttons on them. Each one will be covered in detail later. I will explain some of the concepts and terms I will be using. This will be old news if you have been working in CG before. Now, with that covered, let's go over some of the most useful hotkeys. 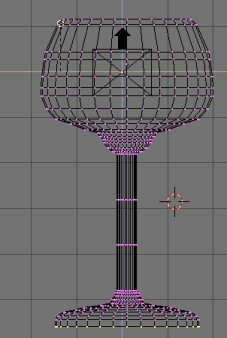 G: "Grab", this moves around your model. You can right-click it and drag, but pressing "G" and moving your mouse is more accurate. Holding your third mousebutton (afterwords, note that if you don't have a three button mouse, to simulate the third mouse button, hold Alt and press the First Mouse button. Holding Ctrl will lock it to the grid. S: "Scale", this changes the size of your model. Holding Alt will scale it in one direction. Holding Ctrl will lock it on the grid. 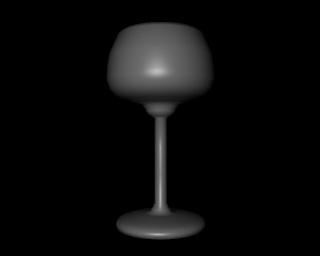 R: "Rotate", this rotates your model. Hold Mouse 3 to rotate it in all directions. Hold Ctrl to turn it in 10 degree intervals. 1: "Front View", this switches to the view from the front. Holding Ctrl and pressing "1" will show the opposite view, Backwards View. 3: "Side View", this switches to the view from the side. Holding Ctrl and pressing "3" will show the opposite view, Left View. 7: "Top View", this switches to the view from the top. Holding Ctrl and pressing "7" will show the opposite view, Bottom View. 0: "Camera View", this switches to the view from the camera. 5: "Perspective View Toggle", this switches to the view from perspective view to ortho. 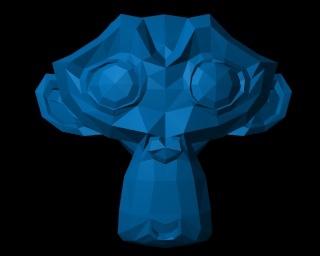 Z: "OpenGL", this toggles OpenGL mode, showing the color and specularity (shinyness) of your models. 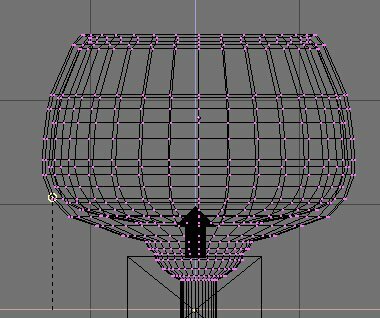 Press Z again to go back to Wireframe. 4, 8, 6, 2: "View Rotating", these rotate the view in different directions, Left, Up, Right and Down, respectively. +, -: "Zoom In/Out", these buttons simply zoom in and out. 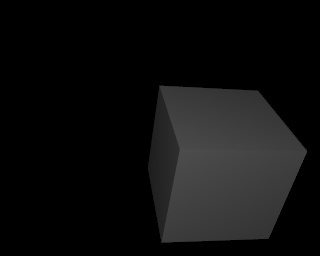 Mouse Button 3: "Rotate View", this will rotate the 3D view. Holding Ctrl will zoom in and out. Holding Shift will pan the view around. 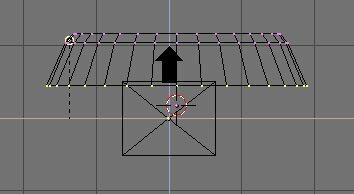 E: "Extrude", this extrudes selected vertices. Explained soon. Tab: "Edit Mode Toggle", this toggles in and out of EditMode. 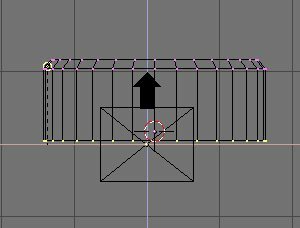 While in EditMode, you can edit the vertices. 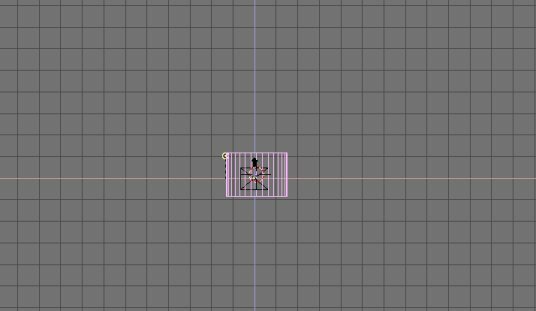 B: "Border Select", Use in EditMode once to get a drag tool to select multiple vertices. 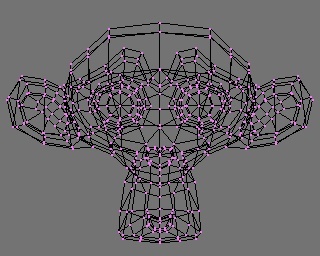 Hold Mouse 3 deselects multiple vertices. Right click to exit from Border Select mode. 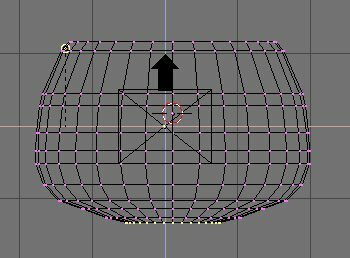 Press B again to switch to another method of selecting multiple vertices, drag-selecting. NumPad + and - will change it's size. Again, Mouse 3 deselects. 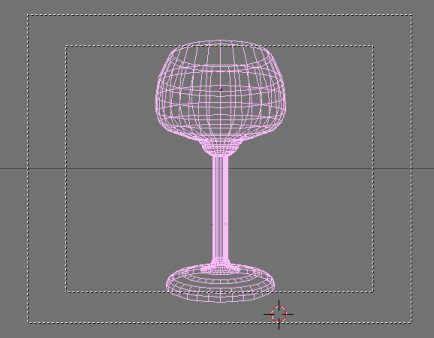 Let's get started on some basic modeling! Still not exciting for ya? Well, delete the boring cube by selecting it and pressing "X" or "Delete", whichever you choose, I personally use X because it's so close to the other keys. See the File menu at the top? Click it and click save, or just press Ctrl-W (more hotkeys!) to save it. Name it something like "glass.blend". 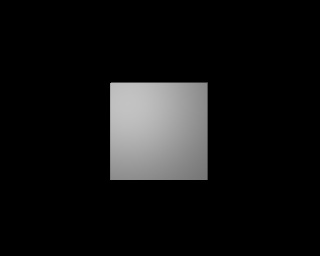 To save it as an image it render it, go back to Blender, go to display buttons (F10), and set the box that says "Targa" to "JPEG". Now go to the File menu and select "Save Image." There you go. Go show it to your friends! 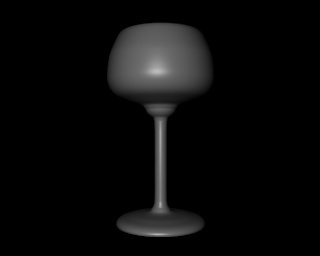 In the next tutorials we'll cover making a table to go under our glass, lighting it with shadows, and texturing both, including making the glass clear. Until then, use my Tutorial Links and find a tutorial suitable for your progress. Be careful not to jump ahead though. How did you like this tutorial? All content propety of Scott Hand.